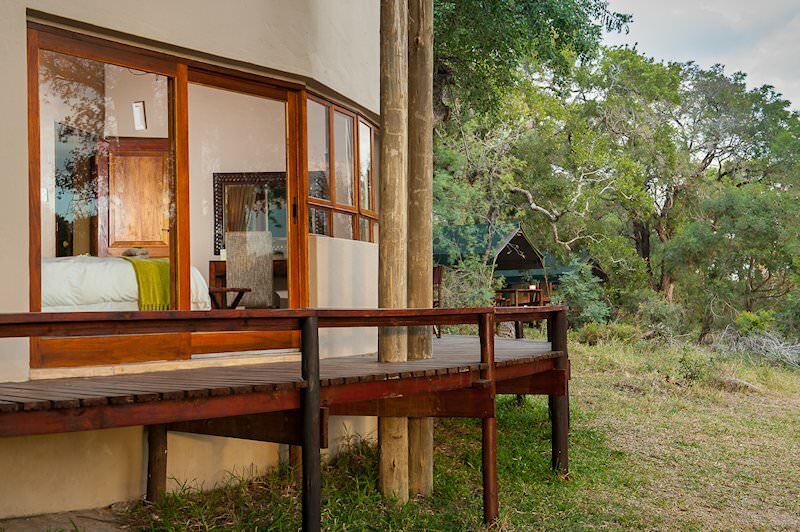 The four star Simbavati River Lodge overlooks the Nhlaralumi River in the Timbavati Game Reserve. 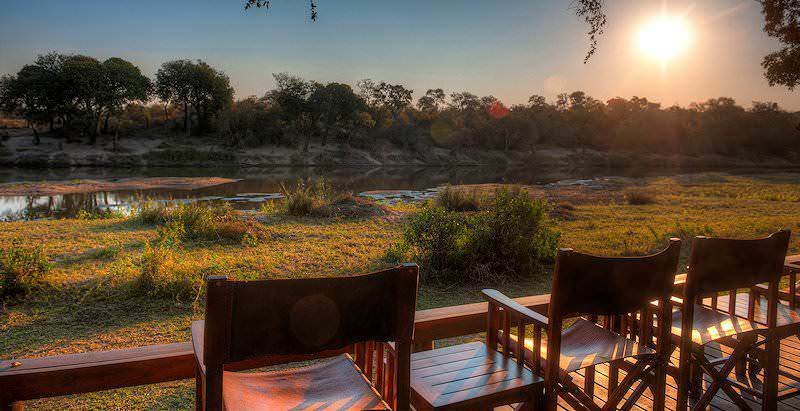 Simbavati River Lodge in the world famous Timbavati Private Nature Reserve offers excellent Big Five game viewing opportunities, while staying in luxurious tented rooms or thatched chalets on the banks of the Nhlaralumi River. 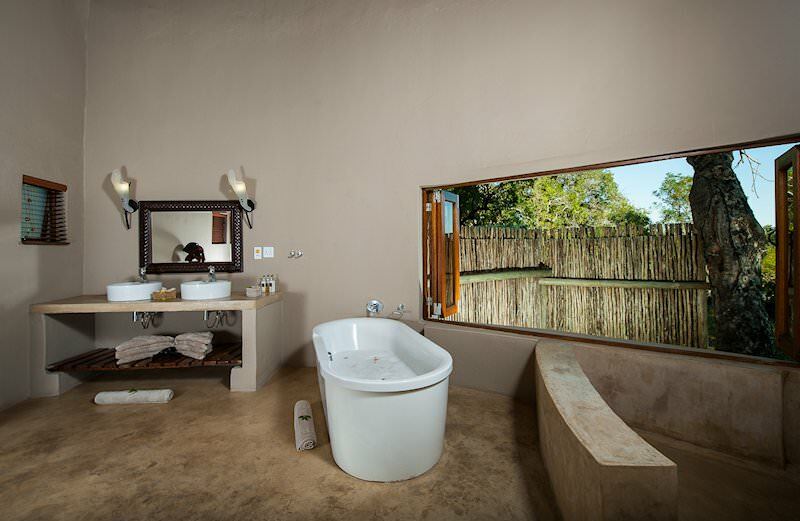 The contemporary and warm welcoming atmosphere will make your safari something to treasure forever. 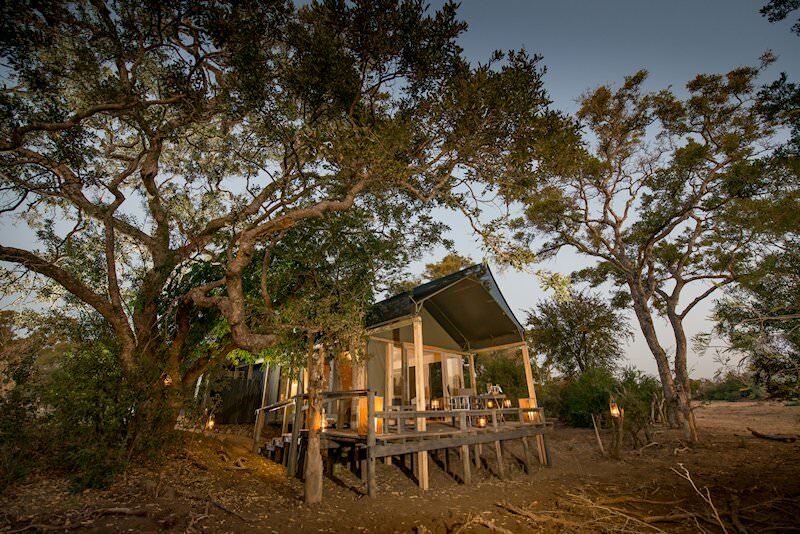 Here, in the heart of South Africa, 12 000 hectares of pristine bush await you. 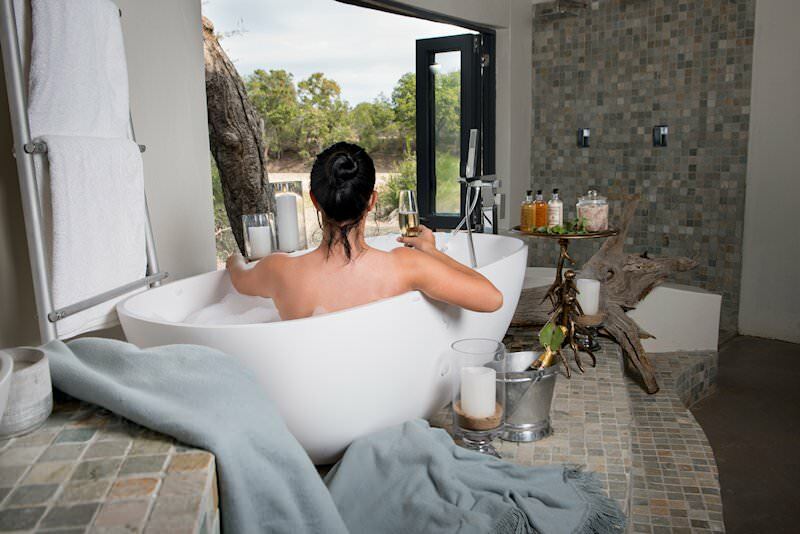 All tents and family chalets offer en suite bathrooms, private decks and air-conditioning, while the tents have the added bonus of outside showers or baths. 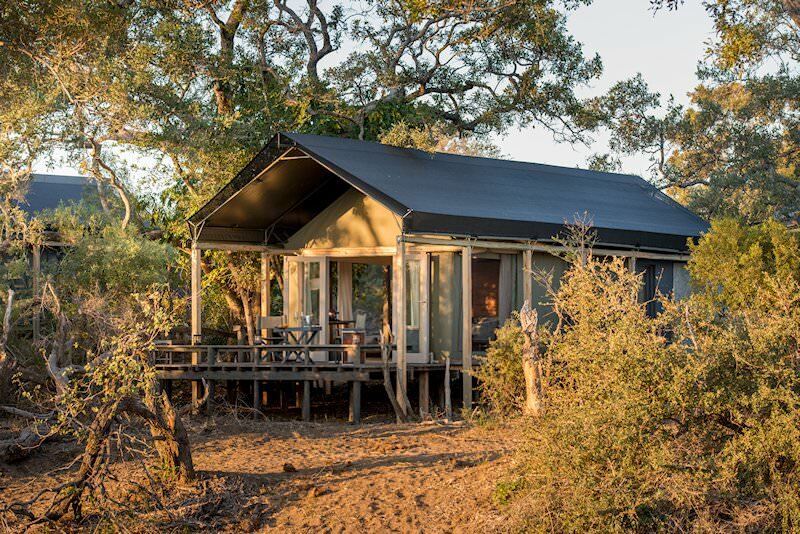 There are eight luxurious safari tents all equipped with tea and coffee facilities, filtered water, well-stocked mini bars and electric blankets for the winter chill. The heat of the African bush has an impact on the activities and behavior of animals. 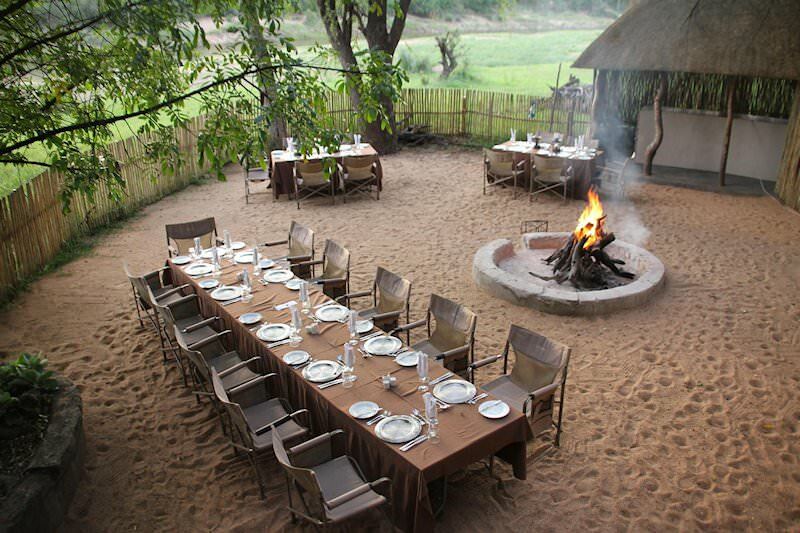 Therefore, game drives are conducted in the mornings and in the afternoons, when game are at their most active. During these game drives, one may just see the world famous white lions of the Timbavati, as this area is home to a pride that carries the gene that causes this anomaly. 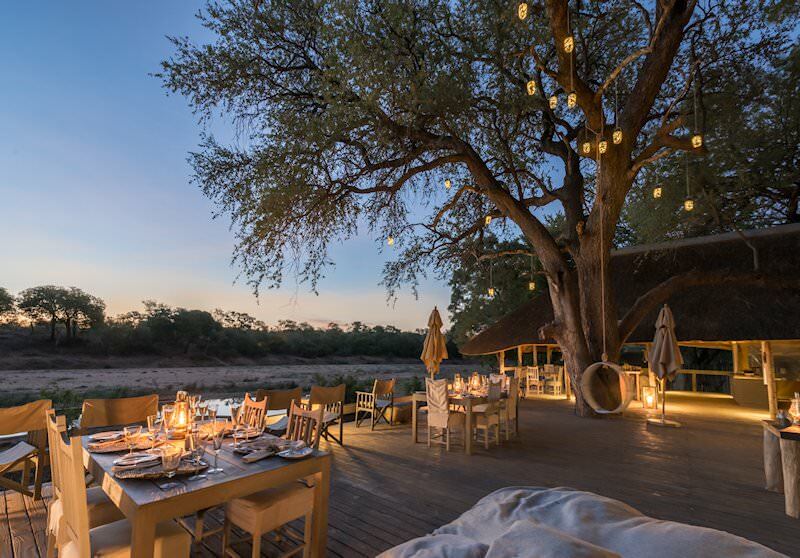 Guests fly to Hoedspruit via O R Tambo International Airport and are then transported to Simbavati River Lodge in the Timbavati Private Game Reserve for their private lodge safari. 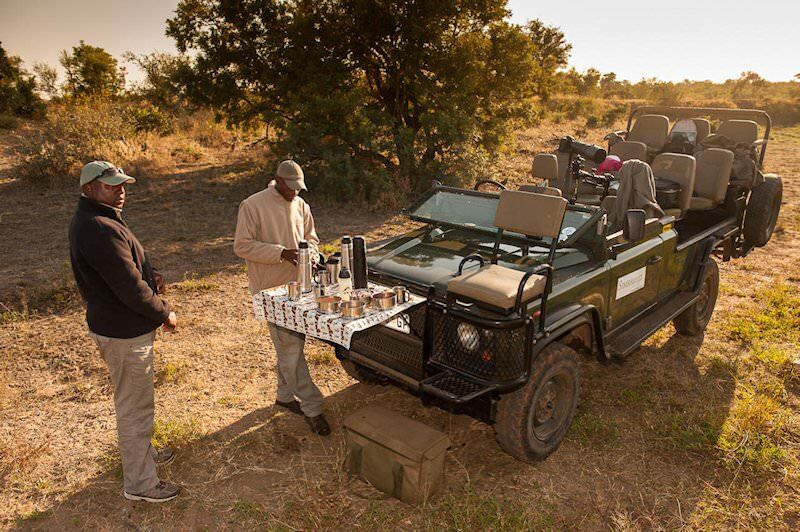 Simbavati offers premier game viewing in open-air 4x4 vehicles, with guaranteed sightings of one or more of the Big Five and possible encounters with Timbavati’s famous white lions. 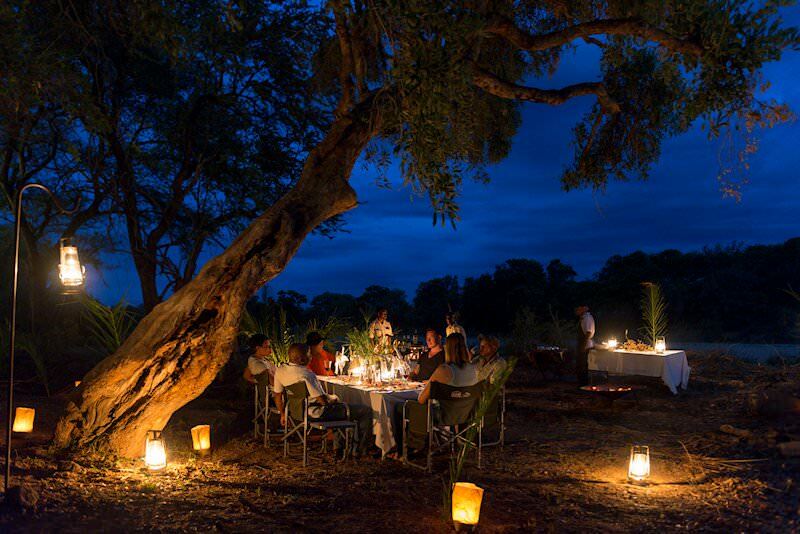 Guided bush walks are also on offer for those who long to get even more intimate with nature. Back at the lodge, guests are tantalized with a bouquet of African and Western flavors, ensuring that even the most discerning taste buds are satisfied. For those with more adventurous whims, a bush breakfast or lunch offers a wonderful extra, and is by no means any less delectable. Ward off the midday heat in the lodge's sparkling pool, or enjoy the view of wildlife converging around the Nhlaralumi River from the expansive decks. 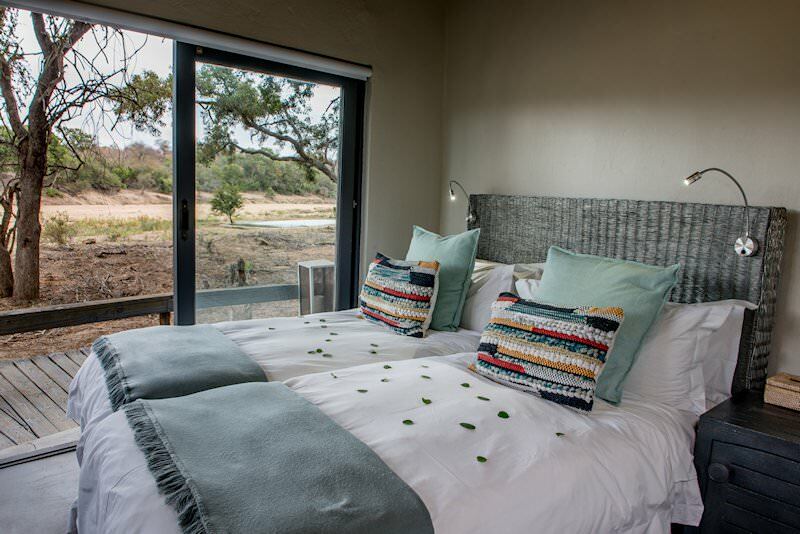 Simbavati River Lodge is a great alternative for a four star private lodge experience in one of the premier private reserves that form a part of the Greater Kruger National Park. It is well located, the daily game activities topnotch and can be fairly easily reached from Hoedspruit Airport. 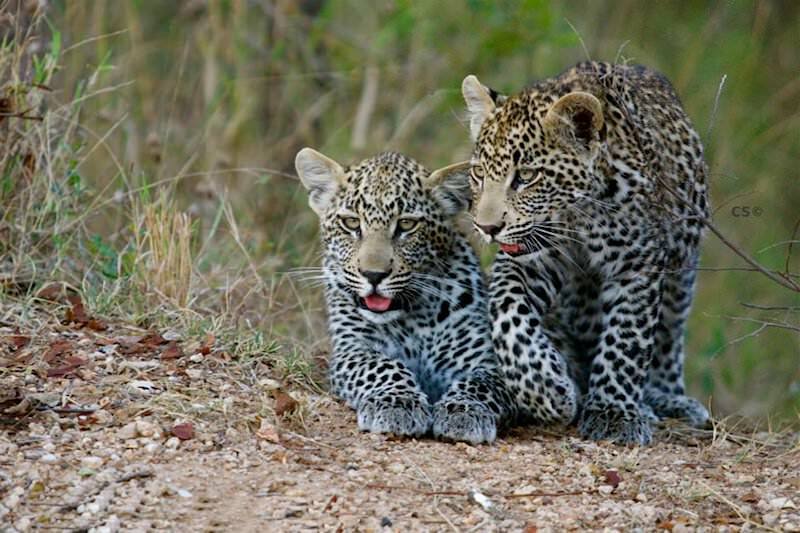 South Africa's safari areas range from lush coastal forests to semi-desert wilderness. Botswana's most sought-after safari destination is the lush Okavango Delta. Namibia's safari areas range from the dunes of Sossusvlei to the waterways of Caprivi. Zambia is often overlooked as a destination, yet offers spectacular safaris. Zimbabwe enjoys a spectacular view of the main section of the Victoria Falls. Mozambique will appeal to adventure-seekers and honeymooners alike. The Kruger National Park is a sought-after safari destination by international travelers and local tourists alike. The luxury safaris we offer include everything from your meals and accommodation to domestic flights and overland transfers. The Big Five are known for dramatic sightings, like watching a leopard stalk its prey, or elephants splashing around in a river. 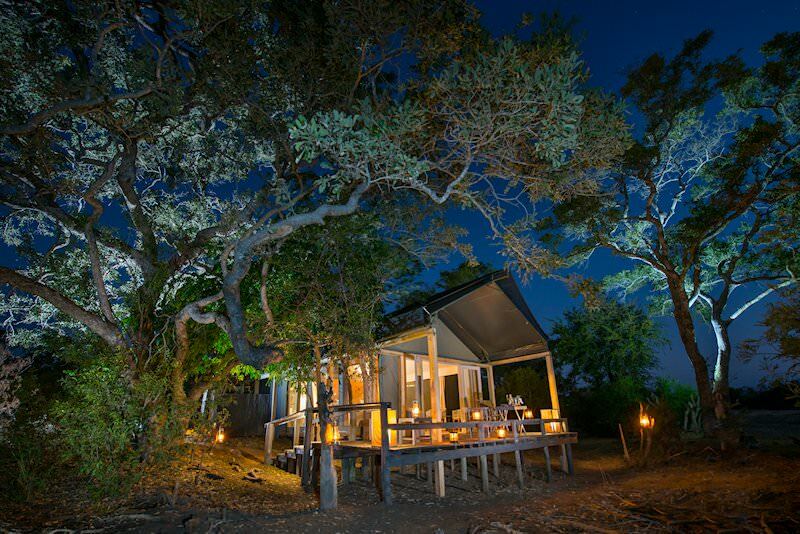 A wide variety of African lodges feature in our safaris, from four star camps to private villas in remote wilderness areas.